Get set to know everything about gourmet chocolate. From the history to different types and best brands, here’s the complete guide to gourmet and artistic chocolates! Chocolates are made in heaven. Period! There can’t be a single person who can deny the fact. And if there’s anyone, then there’s no purpose to their existence! For people who have a sweet tooth, chocolates are a perfect indulgence. The rich taste and the aroma of the cocoa is so addictive. 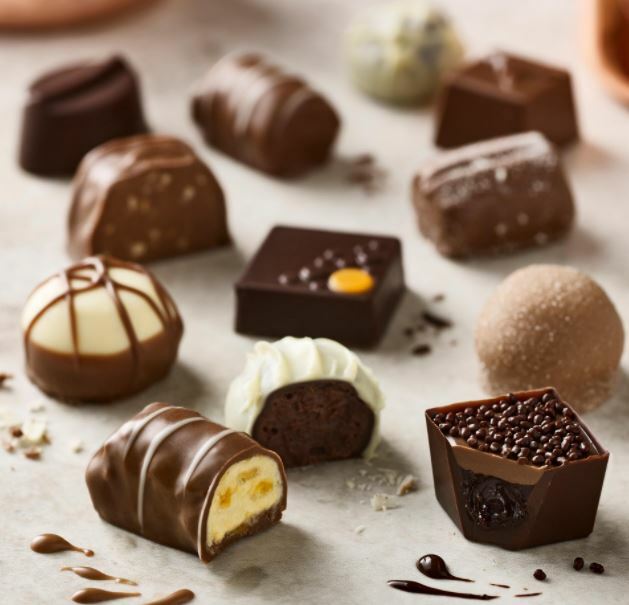 From different types to countless flavors, chocolates never disappoint. 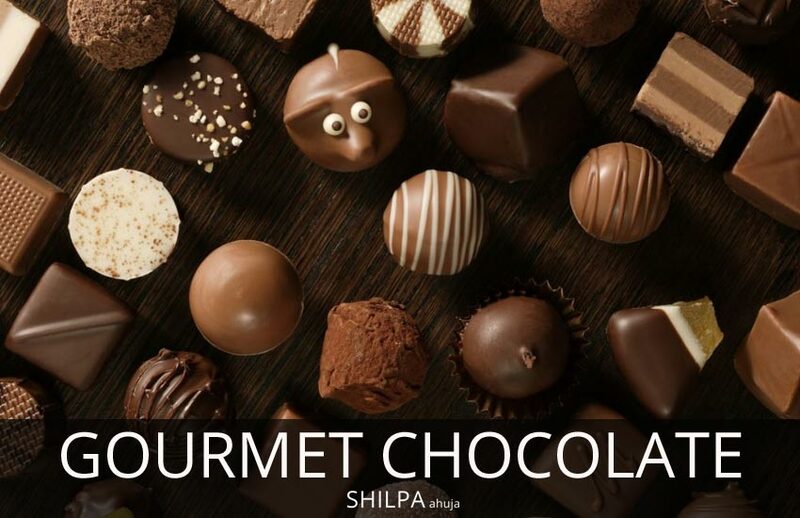 And gourmet chocolates are known for their richness delectability, signature aroma, artistic looks and the silky creamy texture is drool-worthy. 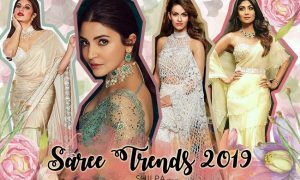 Let’s check out everything about gourmet chocolates. According to Wikipedia, “Gourmet is a cultural ideal associated with the culinary arts of fine food and drink or haute cuisine.” Also, gourmet food is defined as the food that’s to be served in smaller, more expensive portions of course. It’s also the richness that defines gourmet chocolate, meaning it contains a higher cocoa percentage. Gourmet chocolatiers also use the best quality beans, preparation methods and artistry like designing and packaging. Additionally, they are available in countless favors, forms and shapes. In short, they are the best ways imaginable to experience the world of chocolate! Chocolate’s first historical record dates back to 1100 BC. The history of chocolate is just as rich as chocolate itself. The Spaniards introduced the world to chocolate, after discovering the cacao bean in Africa, where it had its colonies. Cacao beans were used as a treatment for diarrhea and fatigue in the South American civilizations. The beans were also used as a currency. In 1828, Dutch chemist Coenraad van Houten created a press to remove about half the natural fat (cacao butter) from chocolate liquor, which made chocolate both cheaper to produce and more consistent in quality. Milk had sometimes been used as an addition to chocolate beverages since the mid-17th century, but in 1875 Daniel Peter invented milk chocolate by mixing a powdered milk developed by Henri Nestlé with the liquor. Lindt & Sprüngli AG, a Swiss-based concern with global reach, had its start in 1845 as a small family confectionery shop in Zurich. It added a solid-chocolate factory the same year the process for making solid chocolate was developed and later bought Lindt’s factory. And so, one of the world’s best chocolate brands was born, as was gourmet chocolate itself! Gourmet chocolate has a higher percentage of cocoa and also has a shiny appearance. Additionally, gourmet chocolate has a comparatively richer scent and smoother texture. The biggest difference between a regular chocolate and a gourmet chocolate is the taste. Gourmet chocolate melts in the mouth feeling like velvet whereas a normal chocolate may taste waxy or uneven. These artisan chocolates come in various shapes and types and a heavier price tag! Gourmet is typical to label products and to manufacture high-quality raw materials to obtain a high-quality end-product. Artisan chocolates are strictly made in small batches typically by one of a kind stores with family guarded recipes and methods. They are normally handcrafted and sold in the artisan’s store or in local farmers markets. That’s why artisan chocolates generally never become international brands and are best found in quaint local stores. Also, artisan products are normally made with the same precise attention to detail as gourmet products. Although artisan products can be gourmet, not all gourmet products are artisan. 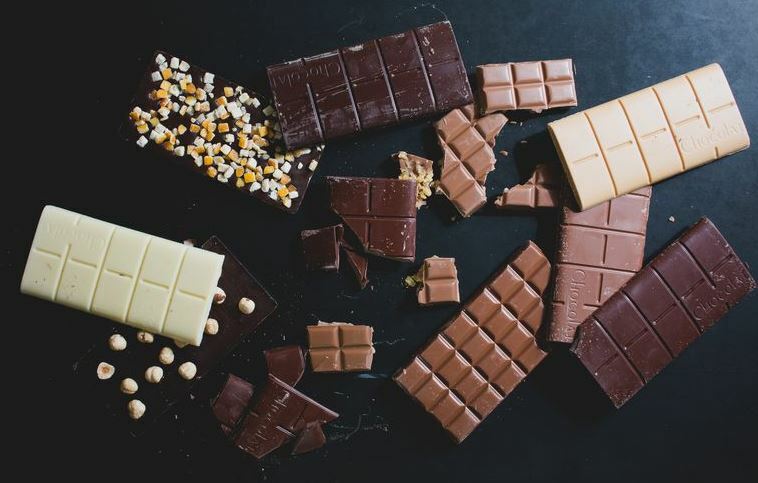 Thee are a number of brands for gourmet chocolates like La Maison Du Chocolat, Lauden, Du Rhône, Choctails, Jeff de Bruges, Puccini Bomboni, Richart and many more. The popular places to find gourmet chocolates are Switzerland, Chicago, California, New York, Florida, France, Belgium, Paris and Amsterdam. From popular brands to small homemade chocolate shops, try everything to explore different tastes and find your favorite. 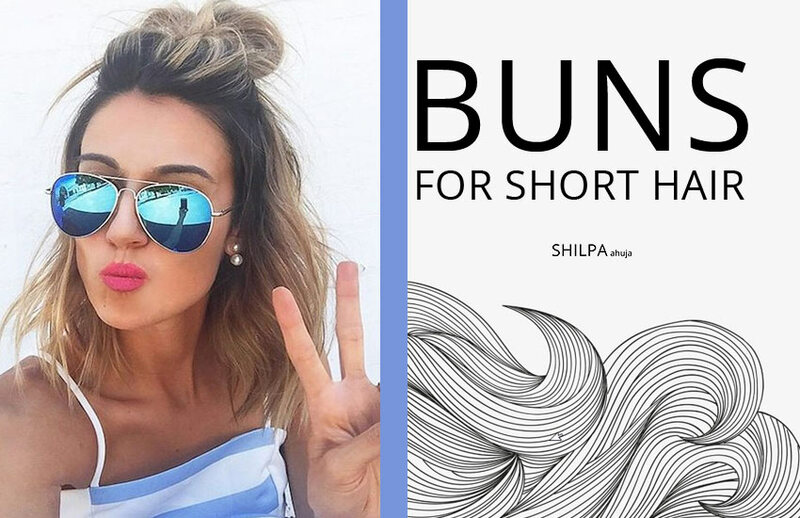 Shilpa also recommends L.A. Burdick (her favorite) and Max Brenner in Boston. 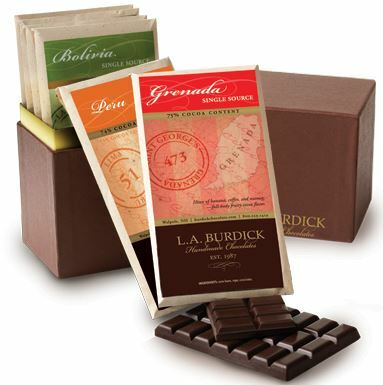 She is totally addicted to Burdick’s chocolate assortments that she claims, taste other-worldly! One can buy gourmet chocolate online, too, or in a supermarket like Lindt, De’Arco and Godiva. 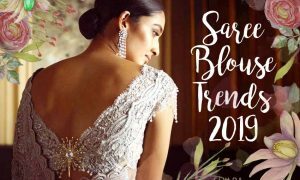 International brands provide a better accessibility, affordability and consistency in quality. 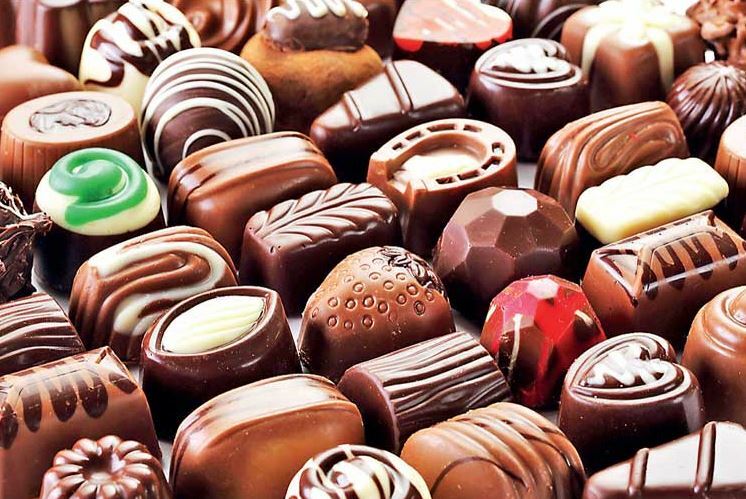 There are different types of gourmet chocolates to try. Each type has different flavors and ingredients. Let’s check ’em out! Handmade chocolates use unique recipes that are handmade, quite literally and don’t rely on machines. The chocolates are produced in small batches to provide unusual flavors and innovative ingredient combinations. A few well-known brands to try handmade gourmet chocolates are Parfections and Guylian. They are also available in local chocolate stores like Jacques Torres Chocolate in NY or Puccini Bomboni in Amsterdam. The famous and well known Belgian chocolates are produced in Belgium and considered by many the world’s best. And the fun fact is that the raw materials aren’t produced in Belgium itself. There are different varieties like pralines that are usually soft-centered confections with a chocolate casings, truffles in the form of a flaky or smooth chocolate balls or traditionally truffle-shaped lumps and they contain a soft ganache inside which is an emulsified liquid. 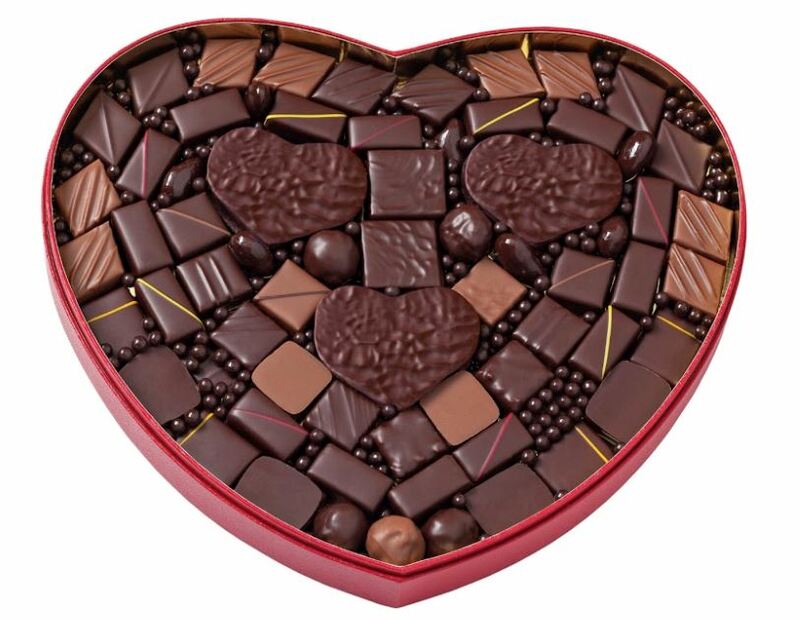 The top Belgian chocolate brands are Belvas, Jean Galler, Godiva, Starbrook Airlines and Zabar. 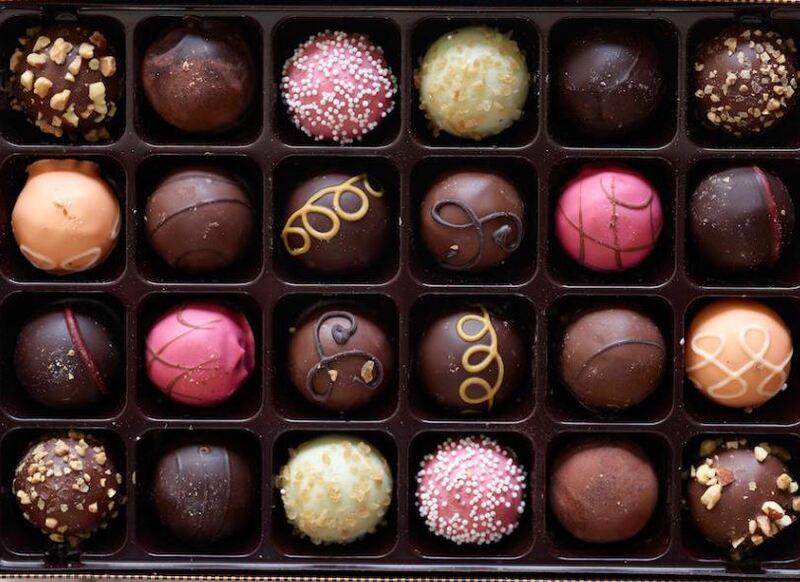 Speciality chocolates are luxury chocolates – they are unique and taste different with each bite. Another advantage of specialty chocolates is that you can customize them! Try salted caramel, dark chocolate with pink Himalayan salt, sweet orange and thyme. Dark chocolates are bitter in taste and are unsweetened. Personally, I love dark chocolates. The bitter taste makes you satisfied with a bite (or not!) Well, the dark intense flavor is super tasty and is a feast for eyes, too! Try bars and truffles. There are numerous flavors to try in gourmet chocolate. From pink pepper truffles to Mexican hot chocolate to tiramisu-flavored, the list is endless. 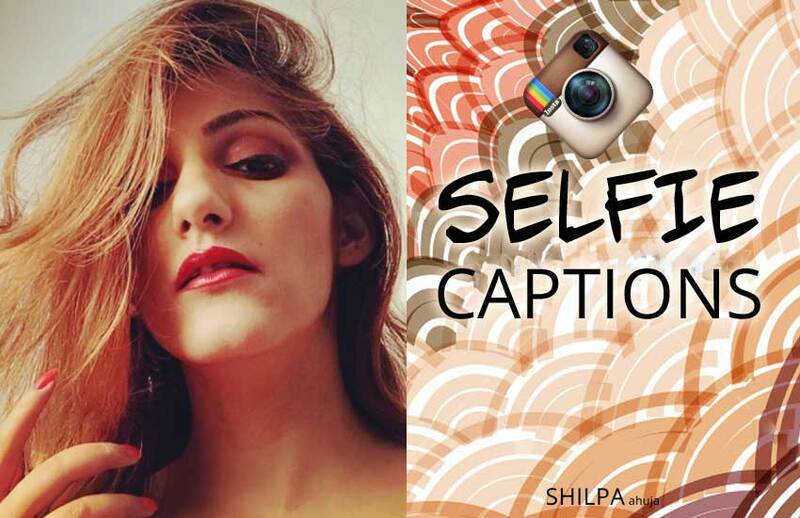 Let’s check out some lip-smacking fancy chocolates. Traditionally, a chocolate truffle is made with a chocolate ganache that has chocolate, cocoa powder or chopped toasted nuts in center. 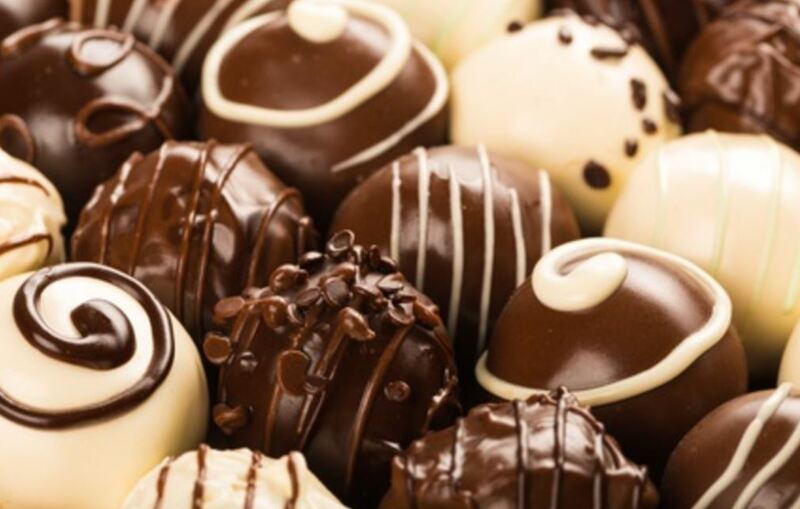 There are various flavors and types of artisan chocolate truffles to try like strawberry dip, raspberry dip, peanut butter, Irish cream, orange, milk chocolate truffles and many more. 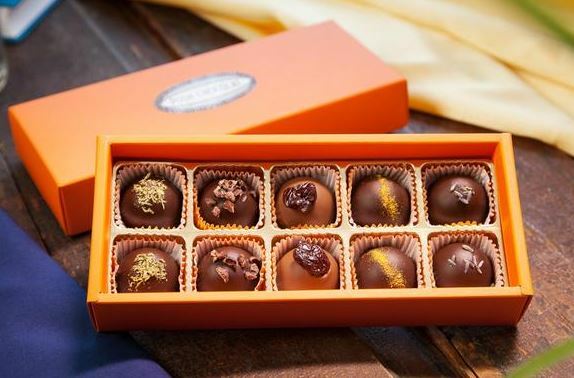 The best way to taste gourmet chocolate truffles are at tiny local shops. The local chocolate truffles that are handmade are the best ones. 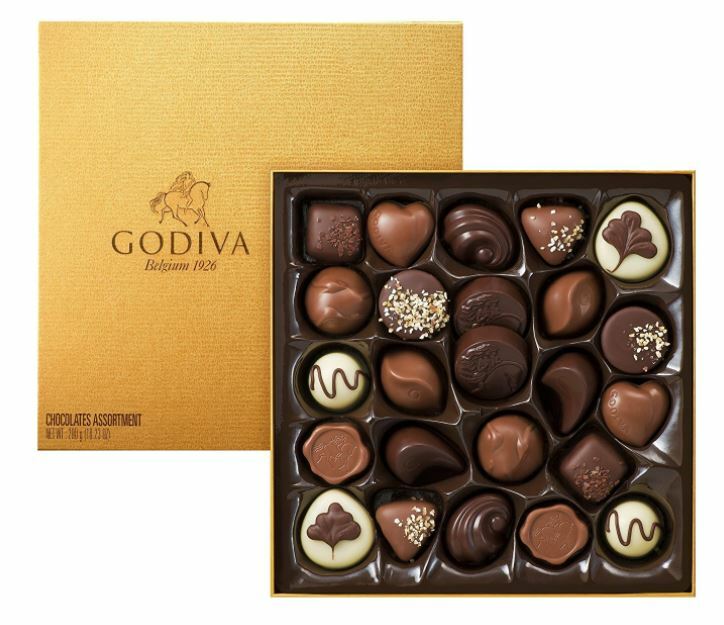 Godiva is also famous for its truffles, available in quirky flavors like salted almond, dark chocolate and aztec spice. Similarly, Lindt has its popular Lindor truffles, gooey on the inside that we absolutely adore! Chocolate bars, too, come in a variety of flavors. Lindt and Toblerone are two famous brands for gourmet chocolate bars. They come in different shapes like squares, triangles and diamonds. There are thin and thick bars. Try fruity, berries and choco chips infused chocolate bars. Spicy, minty, cinnamon-flavored and salty bars are also worth a try. A chocolate chip cookie is the perfect accompaniments for tea, or even just as an snack indulgent! Cookies, too come in different shapes and sizes. 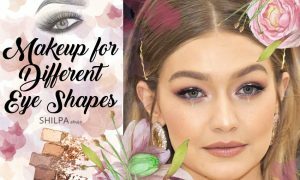 From circular to square to heart-shaped, they all look so good. Try chocolate coated cookies! You can buy gourmet chocolate chip cookies online, too! 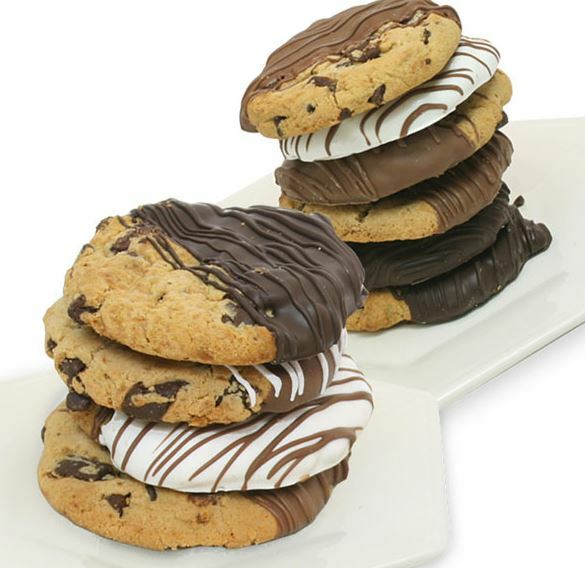 Also, for holiday season, gourmet chocolate cookies gifts are perfect. Gourmet chocolate pretzels are baked bread made of dough in the shape of twisted knots. From stuffed to crunchy to gluten-free, there are many options to try. Butter, chocolate, cheese stuffed pretzels are quite popular. A thinner version of the pretzels are crunchy like cookies. 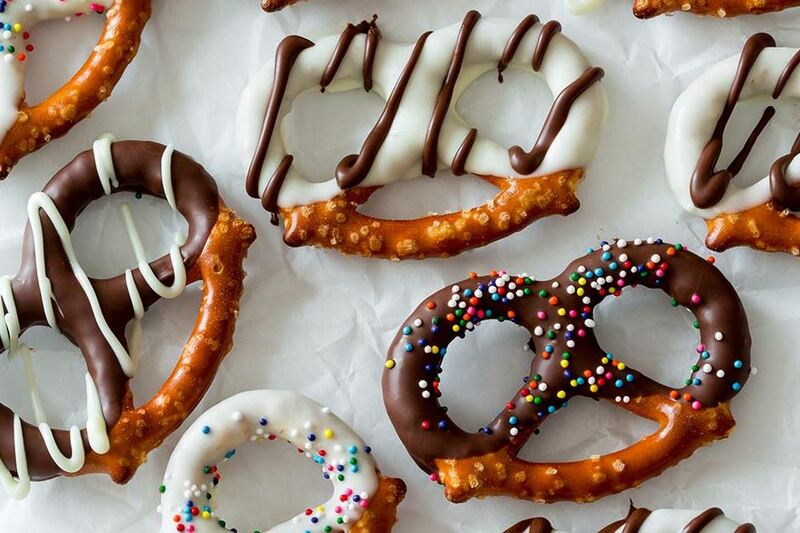 Different types of chocolate covered pretzels are dark chocolate, white chocolate and chocolate with caramel drizzle. Chocolate drizzled popcorn gives a sweet and salty experience 😉 You can try it yourself at home as they are available online and in superstores. But make sure to coat each popcorn with chocolate evenly. Try sea salt with dark chocolate, white chocolate, caramel with chocolate. 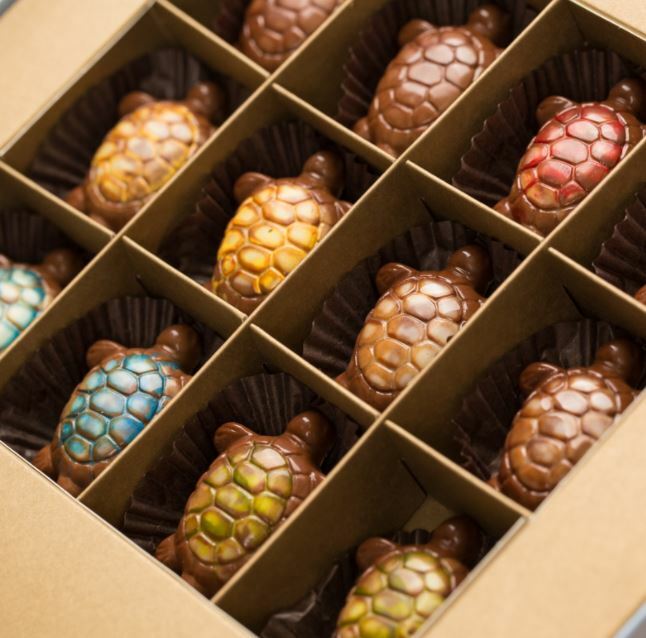 Turtle shaped gourmet chocolates are super cute. From milk to dark chocolate to caramel clusters toppings, they are too adorable! I loved this Phillips Chocolates idea of using almonds as the legs and face of turtle. Too cute! Hot chocolate tastes like heaven. On any given day if I’m feeling low or the weather is gloomy or just like that while having me-time, I love to indulge hot chocolate (and I’m not guilty at all!) 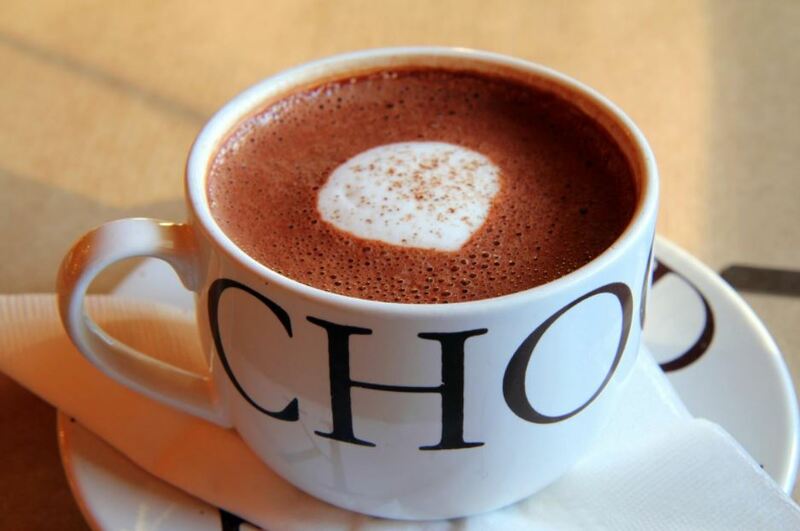 And gourmet hot chocolate is rich in taste usually because of the higher fat content. Bakers use natural chocolate often shaved or ground into fine pieces so it melts quickly. Hence the bitter taste. Mix it with water or milk (and sometimes butter) and top with whipped cream or marshmallows. Powdered hot chocolate mixes are easy to prepare at home. 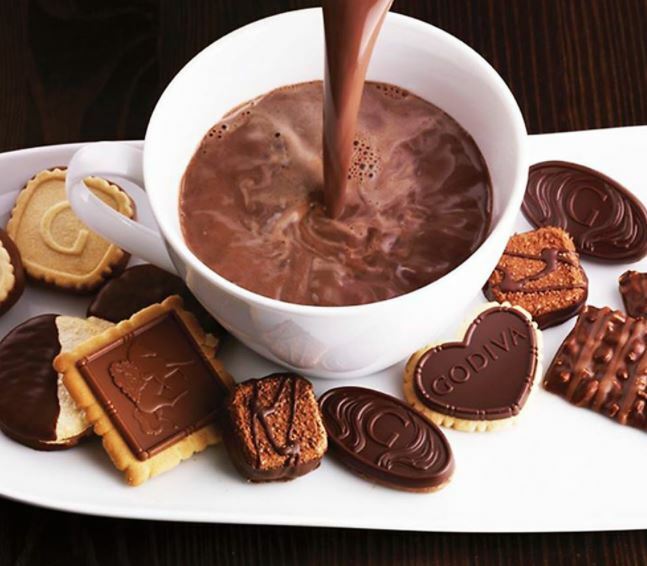 Or you can melt and whisk a piece of gourmet chocolate bar in hot creamy milk for a delectable cup of hot chocolate. This comfort drink comes in various flavors like white chocolate, cinnamon hot chocolate, mocha hot chocolate, peppermint hot chocolate, red velvet with whipped cream cheese, mint white hot chocolate, orange cream chocolates and the list goes on… I’m off to have my cup! Slurp! If chocolate bars and truffles weren’t enough, check out these countless other recipes to indulge in a chocolate. From different types of desserts to cocktails to iced drinks, the artisan chocolatiers’ concoctions are irresistible! 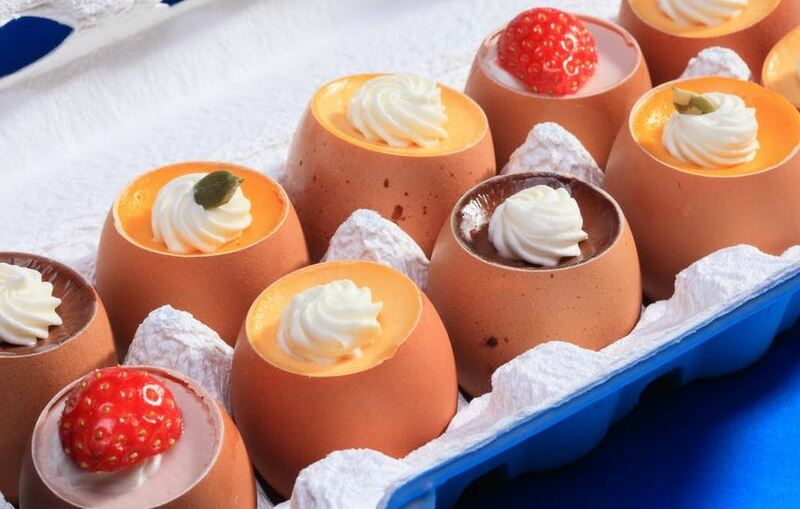 You need to try chocolate mud cakes, spiced chocolate mousse, chocolate caramel tart, chocolate soufflé, chocolate cupcakes with cheese frosting, chocolate cream pie and chocolate sorbet in chocolate desserts. Mexican hot chocolate has tequila, chocolate mudslide has coffee liqueur and Irish cream, chocolate martini is made with vodka. So, did you sort your next drink? 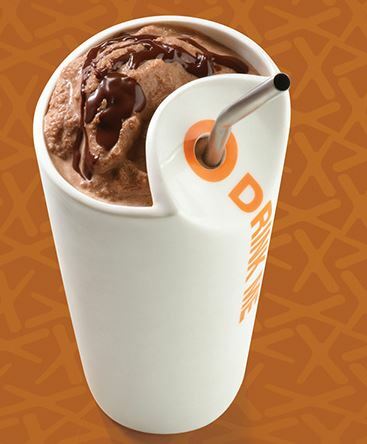 Gourmet iced drinks are perfect during summers. 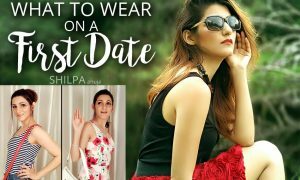 You need to try them for a luxurious feeling in the scorching heat. 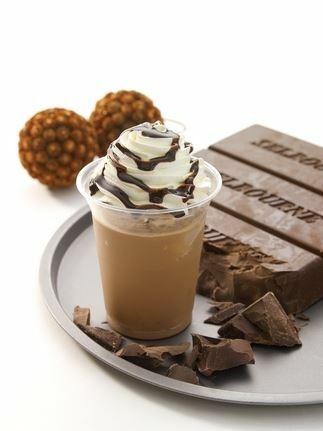 And try caramel iced coffee, iced cocoa, iced caffé latte, caffé mocha (my favorite!) 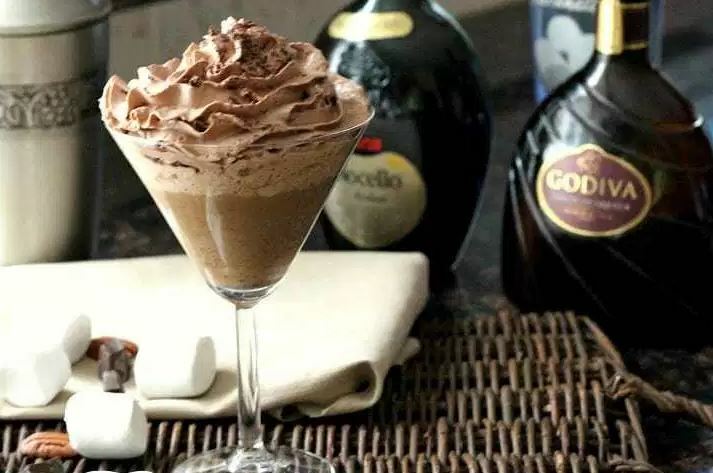 Shilpa also recommends Chocolixir by Godiva, an icy chocolate drink with bits, whipped cream and chocolate sauce. Summery heaven! Gourmet chocolate as gifts sounds great. I would love people to gift me chocolate anyday! 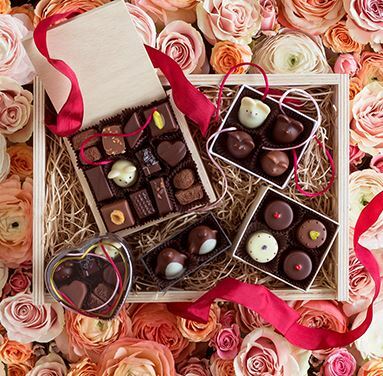 From chocolate boxes to baskets to bouquet to chocolate sculptures, the unique chocolate gifts look magical. They can be used as decor at parties, too! The packaging of gourmet chocolate gifts in itself looks dreamy. 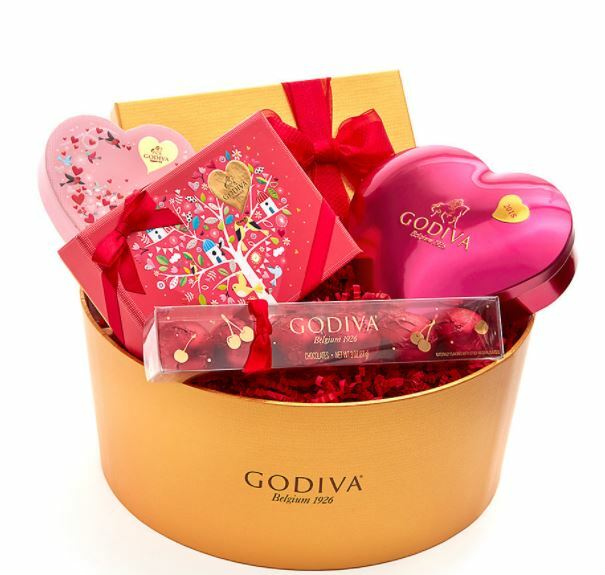 Try Godiva or Lindt as they’re reasonable and taste great, too! 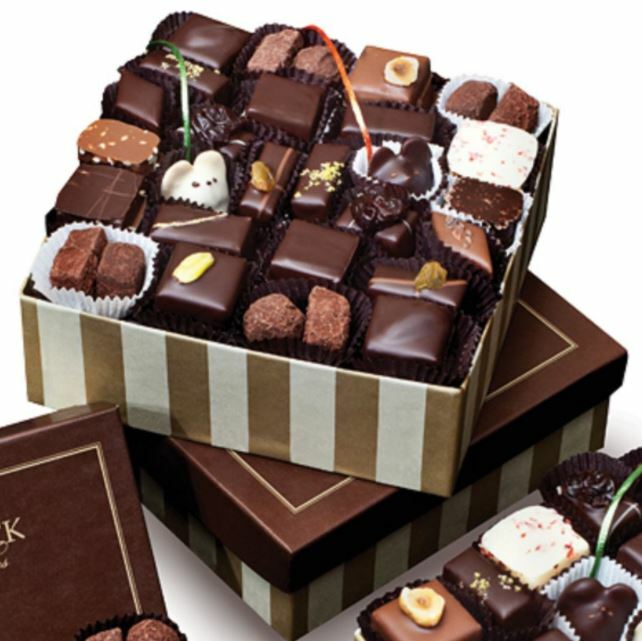 Send chocolate bouquet for a special occasion. Have you tried gourmet chocolate? Which is your favorite fancy chocolate? 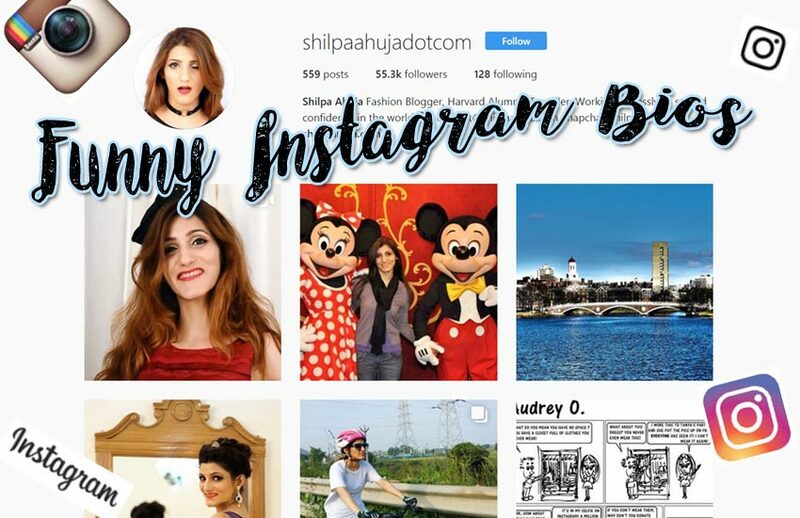 Tag us @shilpaahujadotcom on Instagram to show us your local finds! 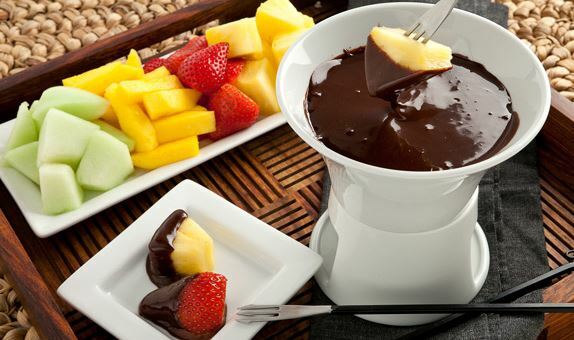 We would love to check out the mouthwatering chocolates! 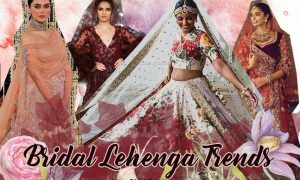 – Top 10 Coffee Festival & Shows Around the World: Celebrate the Caffeine!